"France’s counter-attacking speed will cause serious problems, too – Croatia looked vulnerable to that approach against England." Sunday 16:00, BBC One and ITV1. Match Odds: France [1.98], Croatia [5.1], The Draw [3.4]. Didier Deschamps lifted France's first World Cup at captain back in 1998, and has the opportunity to win their second as manager 20 years later. France start as strong favourites for this final. After failing to impress in the group phase, France have improved in the knockout phase and confidently despatched Argentina, Uruguay and Belgium in turn, without the need for extra-time. That's something of a contrast to Croatia's journey, which has involved penalty shootout victories over Switzerland and Russia, then an extra-time win over England. Croatia have therefore played 90 minutes extra than France in this knockout stage, and also have one day lest rest here. Croatia's players bristled at suggestions they would tire against England, but fatigue must surely be an issue here. They're also up against a side boasting tremendous speed. Kylian Mbappe is the favourite to be chosen as the tournament's best player and will start on the right flank against Ivan Strinic, perhaps Croatia's weak link. 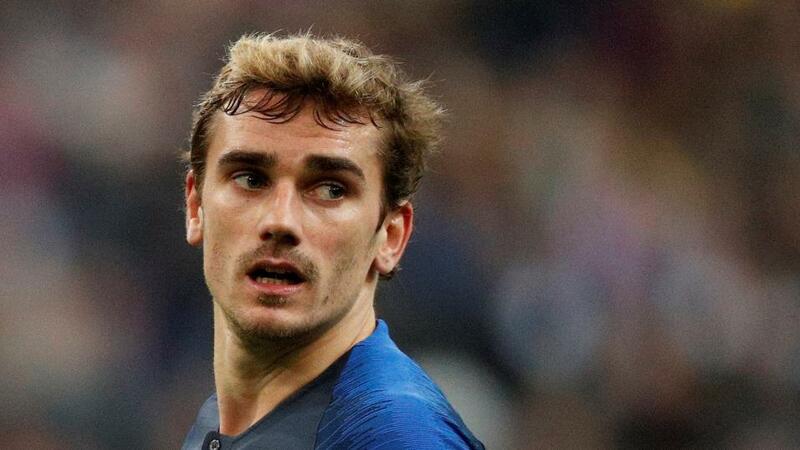 Antoine Griezmann also offers speed and invention from a second striker position, with Paul Pogba and Blaise Matuidi offering energy from deeper roles and N'Golo Kante sweeping up in front of the defence. It's hardly unreasonable to suggest Croatia might struggle in a physical sense. Deschamps has used the same XI throughout the knockout phase, with the exception of Matuidi missing one game through suspension. The lineup will be familiar: Hugo Lloris in goal behind a back four of Benjamin Pavard, Raphael Varane, Samuel Umtiti and Lucas Hernandez. Kante will sit deep with Pogba to his right and Matuidi wider to the left, with Mbappe pushing forward down the right, and Griezmann playing just off Olivier Giroud, who has yet to register a goal in this competition but has proved effective at leading the line. Croatia manager Zlatko Dalic has shifted between 4-4-2 and 4-3-3, but it would be a huge surprise to see him use anything but 4-3-3 here. Danijel Subasic will play in goal, up against a few players he's familiar with having played in Ligue 1 for the last six years. Dejan Lovren and Domogoj Vida will play in the centre, with Strinic left-back and the outstanding Sime Vrsaljko on the right. He was Croatia's key man against both Russia and England, overlapping dangerously to combine with Luka Modric, and Matuidi may have to play wider than usual to track him here. Modric will play to the right of the trio with Marcelo Brozovic the holding player and Ivan Rakitic to the left. France have generally sat deep in the knockout phase so far, and Modric and Rakitic may have opportunities to control the game. Upfront, Mario Mandzukic has a habit of scoring big goals and will battle against Umitit and Varane, with the speed provided by Ivan Perisic, who gets into the box to become a second striker, and Ante Rebic, more of a dribbler who offers speed in wider positions. I think France will be comfortable against both speed and strength, with Varane and Umtiti enjoying a very fine tournament together. I'm struggling to make a case for Croatia. They simply haven't seemed a great side in the knockout phase, conceding first in all three matches. Perhaps battling back shows their mental strength, but I'm unconvinced that this excellent France backline will allow them back into the game. France's counter-attacking speed will cause serious problems, too - Croatia looked vulnerable to that approach against England. The runs of Griezmann and Mbappe, combined with Pogba's passing range and Giroud's knockdowns, could expose a Croatian defence lacking in speed. I fancy a French victory here, and I also fancy them to keep a third consecutive clean sheet. [2.8] seems a very good price for France to win to nil. Croatia came from behind against England to force yet another extra time knock-out game, where they secured the victory in the second period to send themselves into their first World Cup final. Their opponents France are looking forward to their third World Cup final appearance, winning on home turf in 1998 and losing in a penalty shoot out to the Italians in 2006, when they were reduced to 10 men after their talisman Zinedine Zidane was sent off in his last ever match. That final against Italy was the only game in the last seven finals that has seen both teams scoring and once again the French were involved in the only game in the last seven finals that has produced over 2.5 goals (France v Brazil 3-0 1998) with the last three finals all being level after 90 minutes. Les Bleus have only conceded in two games, against Argentina (4-3) and in their opener against Australia (2-1) while the Croatians have only kept two clean sheets, in their opening two games against Nigeria (2-0) and Argentina (3-0) and of course they have now gone to extra time in all three of their knock-out games. Both teams have some fantastic players but I must admit I was quite surprised to see France trading at [1.97] to win this as for me they are the more talented side. From Kylian Mbappe and Antoine Griezmann through the midfield of Paul Pogba and Ngolo Kante to the La Liga pairing of Samuel Umtiti and Raphael Varane and then the safety of Tottenham’ s Hugo Lloris. I think they are the better side and have been the best side in the competition, while I am sure the likes of Luka Modric and Ivan Rakitic will cause them some problems, ultimately, in my opinion France will just be too strong and the [1.97] in the Match Odds looks too big to me. I will also be looking to back France Win to Nil if I can get anything around [2.9].